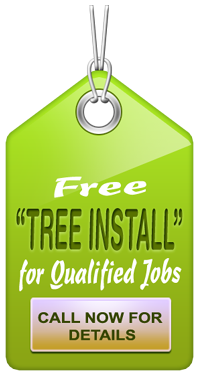 Bay Area Tree Specialists offers professional tree care in San Jose and Palo Alto, CA. One of the most common jobs we perform is tree pruning for residential properties. Property owners, landlords and brokers who want to retain the trees within their properties consider pruning as the perfect way to address all types of tree concerns without significantly affecting the overall landscape. When we provide pruning services, we consider the structural integrity of the tree, the safety of the people and structures under and around it, and the tree’s shape and appearance. When completed by professional tree specialists, pruning can help enhance the natural beauty of trees and shrubs while at the same time preserve the strength, stature, and character they add to the landscape. Pruning removes branches that are diseased, broken, or dead from an otherwise healthy trees. By removing these branches, the possibility of decay-producing fungi spreading to the healthier areas of the tree is eliminated. Strategically pruning healthy branches also improves air circulation within the canopy and allows the tree to be better exposed to sunlight. Professional tree pruning also helps in avoiding damaging trees during a storm and eliminates the risk of falling branches. This is particularly useful when the tree is situated near the house, along a pedestrian path, a driveway, and other structures, or has long hanging branches that can cause inconvenience. When a tree is still young, pruning can help ensure that it grows to have an ideal branch architecture and proper structural integrity. In the long run, this minimizes the need to provide structural support for the tree as it develops. On the other hand, when a tree is mature, strategic pruning can help maintain its appearance even when its characteristic form has somewhat deteriorated. 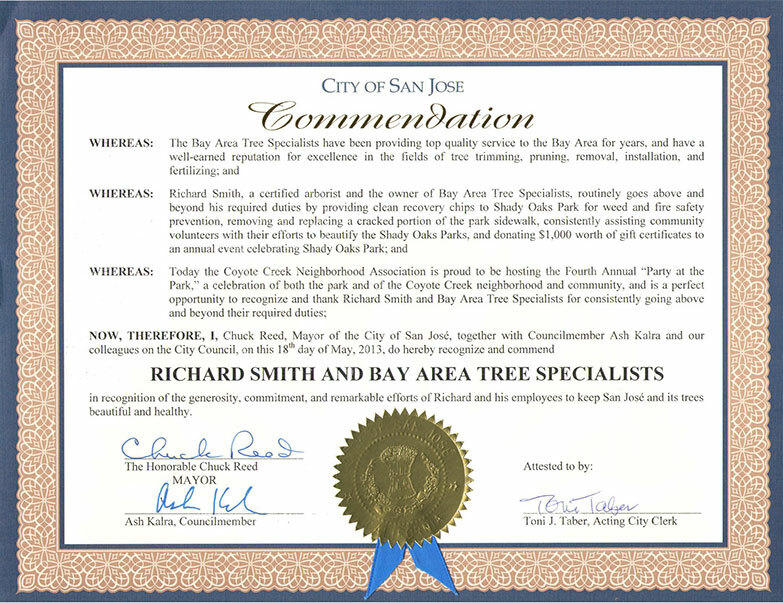 If you need tree services such as tree pruning, crown reduction, tree installation, stump removal and others, contact the Bay Area Tree Specialists and receive a free quote for your next property management project. Our tree care services are available in Santa Clara, Monte Vista, Permanente, San Jose, Palo Alto and other areas in California. 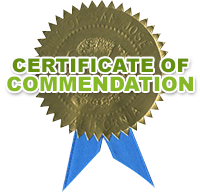 To receive more information, or to schedule an appointment, visit our Contact Us page and fill out the form, or call us TODAY.